The mama pig had babies yesterday. A couple of them didn’t make it, but three survived the first night, which is apparently a big deal. I learn all sorts of things out here on the back forty. So we have three piglets. Paul discovered them because the boar was lying outside the pig house doing some grumpy snorting. He likes it best inside, so Paul couldn’t figure out why he’d be out there, until he thought of piglets. Papa pig got kicked out. Hee. Paul brought one up to the house for us to see. He wouldn’t have disturbed them except that he had to get the male piglets anyway, to perform a … procedure. (Sorry, guys.) We didn’t witness that part. The boys were fascinated by the new baby but held their hands over their ears. 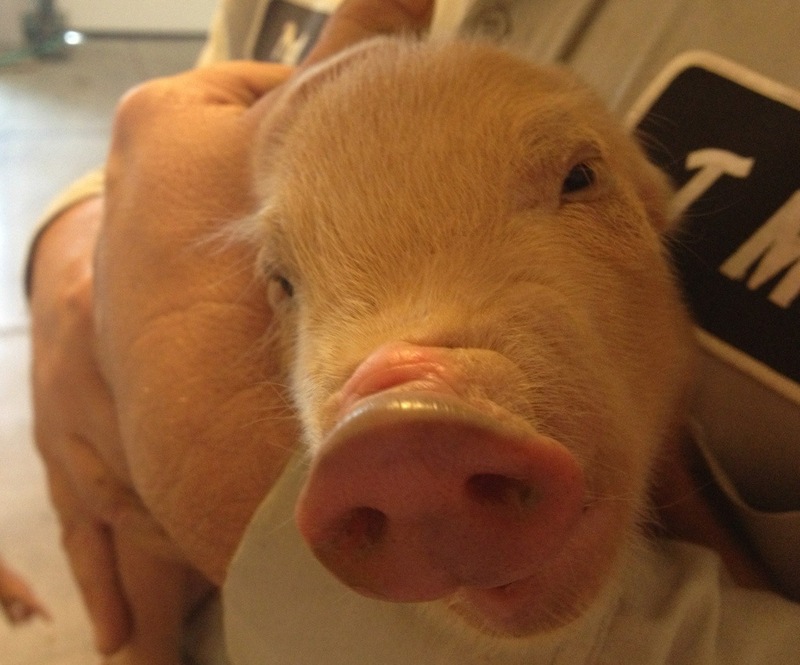 Fact of the day: Piglets are even louder than little boys.